A wealthy girl from the Hamptons, Bree Van Tousen has known nothing but good fortune. But a horrific encounter on her first night in college leaves her broken, confused, and scared. 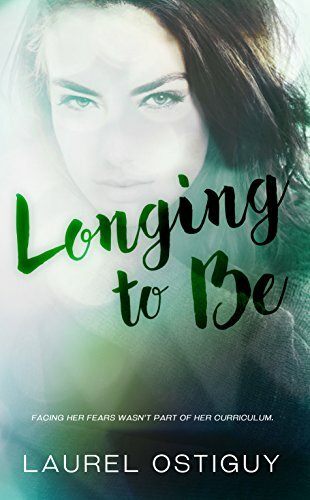 Gradually, as Bree begins to heal, she finds solace in the arms of a forbidden man on campus. Knowing their infatuation with one another could cost him his job and her enrollment at the university, they are forced to keep their whirlwind romance a secret…from everyone. That is, until someone decides that their happiness needs to be destroyed. Unfortunately for Bree, she is also dealing with the police as they attempt to find the man who has terrorized numerous women on campuses throughout New York. As her wounds are reopened, Bree never sees the heartbreak coming and is crushed when the one person she needs in her life leaves her. In Longing to Be, Bree has to make a decision. Walk away before anyone gets hurt or risk it all?